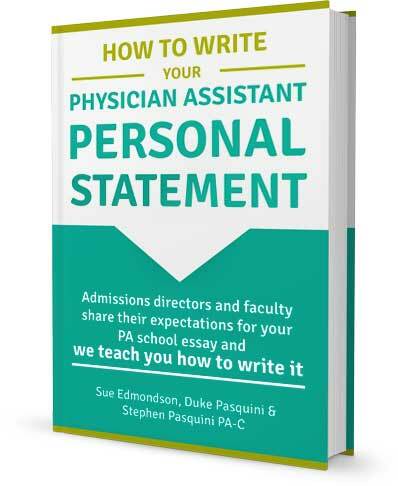 You are here: Home / Pre-Physician Assistant / Who Gets In / Why Are So Many Women Becoming PAs? Here’s One Man’s Answer! "Interestingly, PA work does not appear to have been redefined as ‘women’s work’ even though women now comprise the majority of providers." 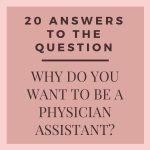 Although the physician assistant profession began as a male-dominated workforce, women now comprise over 72 percent of physician assistants (PAs) in the United States. In fact, in the 51 short years since our careers' inception, it was only the first 20 that saw a male-led majority. In 1972, five years after the inaugural class of PAs graduated, 19.9% of PA students were women; in 1976, 32.8% were women; and by 1982, the distribution of graduates was nearly equal. In comparison, the percentages of women entering U.S. medical schools for the same years were 16.8%, 23.8%, and 30.8%, respectively. 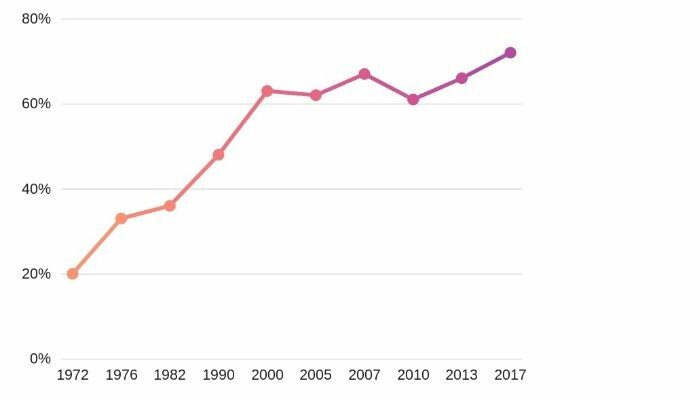 By the late 1990s, it became clear that that the PA profession might become a female-dominated profession and the move to master’s degrees has had an even more significant impact on the number of women entering the PA profession. From 1990 to 2000 there was a threefold increase in female PAs. In 2007 of the 97,721 PAs 66% were female and data from the most recent NCCPA statistical report shows that the number of certified PAs by gender in 2017 is 72.3% female and just 27.7% male. So what factors have caused this gender revolution and why have women come to dominate the PA workforce? The first PA programs in America were created with the chief goal of transforming competent male military corpsman into healthcare practitioners who could desperately fill a void of healthcare practitioners in underserved areas. The first sign of physician assistants in the United States was seen in a fast-track three-year medical curriculum that was developed to educate physicians for military service during WWII. The U.S. Surgeon General identified a shortage of medically trained personnel, which happened to coincide with the return of military servicemen who had delivered medical care in Vietnam. Unfortunately, they were considered technically unqualified to practice on civilians. One solution was to train these workers quickly and allow them to work under the supervision of physicians to address a gap in primary health care. Eugene Stead, the founding father of the first PA training program at Duke University decided that ex-military corpsman would be suitable for his ‘experimental program’ because they had considerable medical training, yet no comparable civilian employment. 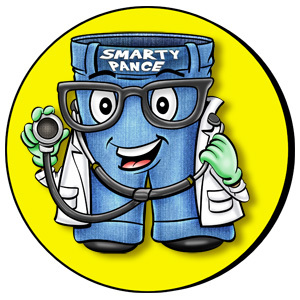 He based the PA curriculum on the fast-track training of doctors during WWII. Local firemen were among the first PAs to be trained in emergency community-based medicine. In exchange for their training, they worked in hospitals in their off-duty time as PAs. Former Navy hospital corpsmen were also hired and classified as PAs. "We intend to produce career-oriented graduates. Since the long-range goals of most females remove them from continued and full-time employment in the health field, we anticipate that the bulk of the student body will be males. This is not meant to exclude females, for those who can present credentials, which would assure the Admissions Committee of proper intent should be considered in the same light as male applicants. - Eugene Stead, 1966"
Despite Dr. Stead's call to male arms by the middle part of the 1970s, there were a lot of US women in search of precisely this type of medical training. According to this 2005 Women and Health article on the feminization of the PA profession Witz’s (1992) theory on social closure provides insight as to why the PA profession was largely male in its origin. Witz asserts that credentials exclusionary strategies employed through institutions in society, such as university and professional associations, are effective at excluding women from professions. 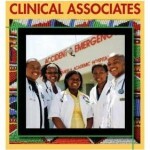 PAs were not to be recruited from the nursing pool, but rather males were the preferred candidates. Although nurses are normally recruited in areas with a medical shortage, nurse practitioners were not drawn upon because it was feared that they would have too much independence. Thus, the recruitment of ex-military personnel fostered a male image of the occupation, and this had the unfortunate effect of excluding many women from the profession. 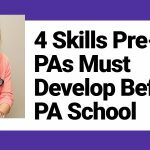 In essence, the PA profession developed mainly in response to a physician shortage. Initially, PAs were drawn from the military and hence were predominantly men. After the 1970s, however, the pool of military corpsmen declined, while at the same the women’s rights and civil rights movements gained momentum, and more women entered the PA profession. The Allied Health Professions Personnel Act of 1966 promoted the development of training programs for new types of primary care providers, such as physician assistants. 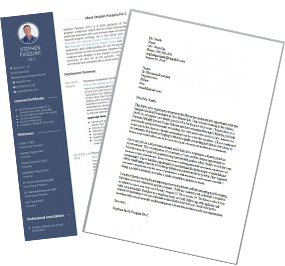 Cutbacks to medical residents’ hours also led to an increased demand for PAs and social closure strategies became more difficult to maintain while the PA sector expanded. There was a growing gender-specific demand for PAs in a male-dominated workforce, and the PA profession proved very compatible with a woman's "double day" wherein many households women continue to perform the majority of household and childrearing tasks. Women dominate most healthcare professions. In 16 of the top 21 healthcare occupations women reign supreme. Pharmacy is an occupation that has undergone a well-documented, rapid gender reversal. In 1950, women accounted for eight percent of all pharmacists. By 1988 women constituted thirty-two percent of all pharmacists and today it's 60%. Some argue that this gender shift largely occurred because of a rise in pharmaceutical manufacturers and a shift from independently run pharmacies to retail drug stores. 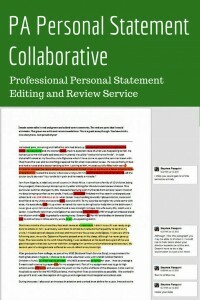 This changed the nature of the profession, especially its level of autonomy. Changes to pharmacy practice rendered it less attractive to men who value autonomy and entrepreneurial opportunities. It has been argued that men’s loss of interest in pharmacy opened up opportunities for women. Most studies of gender changes in professions report that women move into a profession after a deterioration in work conditions. But this is not the case for PAs. 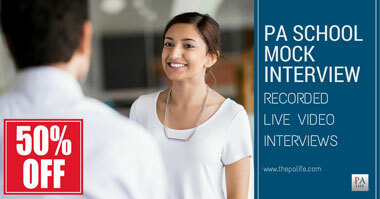 Women have joined the PA workforce in lockstep with improved autonomy, increased pay, and growing respect for PAs as serious players in the healthcare system. about the PA profession were conducted. Some evidence suggests that women have entered the PA profession in response to consumer demand whereby women prefer a female provider. "There are so many women going into the profession because there’s a huge demand for female PAs . . . in modern times more female patients want a female provider. It’s purely driven by the marketplace." Many women chose the PA profession because it offered an expanded career choice beyond nursing, yet it did not have the time requirements and expense of medical school. "I don’t like to be bossed around so I could never be a nurse." 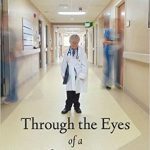 "This offers something different from nursing. You can find positions that make family life very doable." Hiring women makes financial sense. 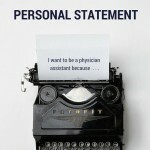 "I think an advantage of adding a PA to your practice is by having a gender mix it makes your practice more marketable. A male doc that would hire a female PA would really increase their practice, economic productivity almost instantly." Many female PAs claimed that the compatibility of work with their family lives was particularly desirable. This is consistent with previous research suggesting that women often choose work that is conducive to family life. "Because of children and family, I chose to be a PA as something that would get me to the practice of medicine sooner than medical school." "I don’t have to only have a work life. I can have a personal life as well." "It certainly is a good field for women in terms of the flexibility and to frequently set up hours that are conducive to life outside of the hospital and the practice. 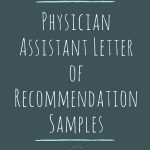 For the person who wants something other than nursing but doesn’t want to make the commitment to medical school, this is a very attractive alternative." Male physician assistants worked more hours per week than female PAs. This is likely a reflection of women coping with their ‘double day’ because in many households women continue to perform the majority of household and childrearing tasks. "It’s more conducive to family life that you’ll have more time for children. 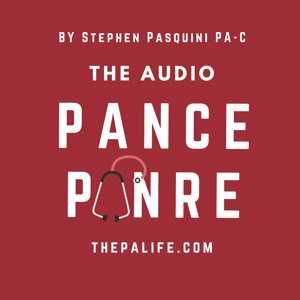 A female physician who takes time out, either by only devoting part-time to their profession or taking a year off when their kids are small is really detrimental to their career, whereas that’s not true for PAs." 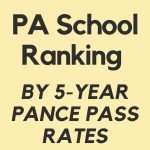 PA school makes more financial sense. 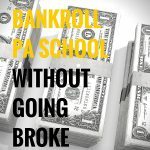 "The reason I'm slanting towards PA school versus medical school or a nursing career is that it makes a nice investment; it’s not too much time and money." Despite the growth of women in the physician assistant workforce, the salary of female PAs remains below that of men. Research conducted by the American Academy of PAs (AAPA) and published in a September 2017 issue of Women's Health Issues found that female PAs are compensated 89 cents for every dollar men are compensated. 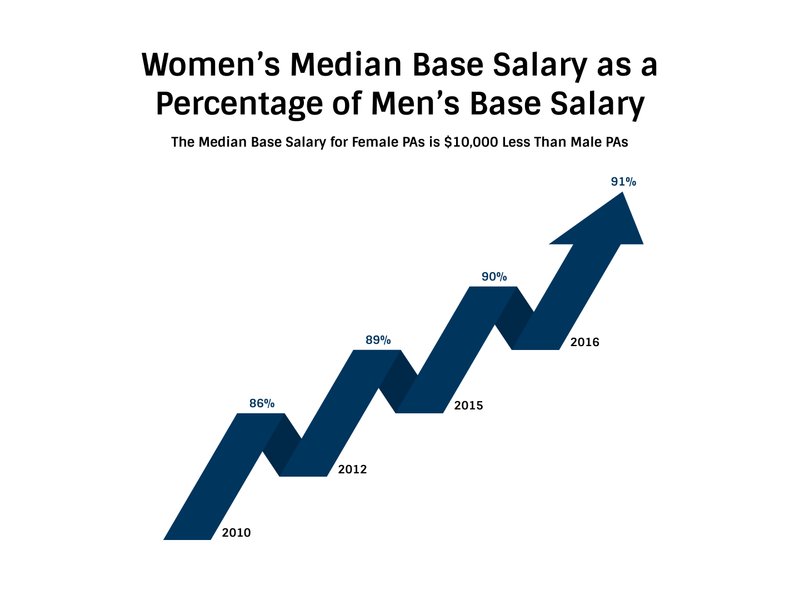 Women represent nearly two-thirds of the profession but receive approximately $18,000 less in primary compensation. The differential reduces to just over $9,500 when the analysis includes a variety of other variables. This pattern is echoed in the gender differences that were found by practice specialty in which a higher percentage of male PAs were in high-status areas, such as surgical subspecialties. Consistent with previous research on the health care division of labor, female PAs predominate in the lowest paid specialties, such as obstetrics/gynecology and pediatrics, in which the average salary is $95,000 and $85,000 respectively. Male PAs, on the other hand, predominate emergency medicine (average salary $115,000), surgical subspecialties with wages upwards of $116,000 per year, and industrial medicine with an average salary of $105,000. Meanwhile, the findings also show that a higher proportion of male PAs are self-employed. Somewhat surprisingly, a higher proportion of female PAs work in internal medicine compared to males. This may suggest that women are moving beyond the traditional ‘feminine’ areas of work within the profession. This adds to Witz’s theory on social closure, suggesting that if the sector expands, closure might be difficult to maintain. 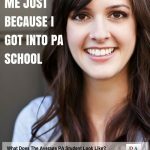 Indeed, women may be choosing to become a PA over other professions for reasons of status and opportunity. According to Lindsay Sally's women's health article on the feminization of physician assistants, one definition of feminization describes it as the movement of women into a formerly ‘male’ occupation. A second definition sees feminization as a transformation in which not only are more women present, but the occupation also comes to be viewed as women’s work. First, ‘infiltration’ occurs when only a few women are present in a man’s occupation. Second, ‘invasion’ occurs when many women enter an occupation, but men have not completely abandoned it. 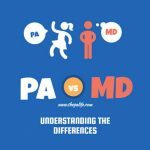 Being a PA allows women to practice medicine, albeit under supervision, while simultaneously balancing their family life. 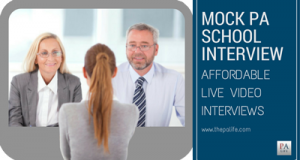 In interviews, female PAs report entering the profession because it allows them to practice within the medical model without having the high expense and demanding schedule of medical school. In fact, they claimed that the profession is quite compatible with family life. Significant gender differences were found in work characteristics, primary employer type, and practice specialty. Although women tend to concentrate in practice areas of women and children's health, evidence suggests that they are moving beyond these traditional roles into areas such as internal medicine and surgery. Although women comprise the majority of advanced practice providers, they are less likely to work in a rural area than men. Interestingly More men (82.4%) than women (59.8%) are married; a significant association between gender and domestic status was found. The way that men rated career satisfaction was not significantly different than the way women did. Sixty-five percent of men and women completely agreed that they are satisfied with their career. 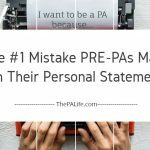 Eighty-three percent of men and women PAs believed that they can balance their personal and professional responsibilities. Many women enter PA work because it offers an alternative to traditional nursing careers and the demanding schedules of physicians. This is salient because women are normally segregated into lower status work and encounter barriers when entering higher status professions. What's the future hold for male PAs like me? As a male PA, I'm proud to stand beside my female colleagues in a shared effort to make the world a better place for patients and fellow providers. 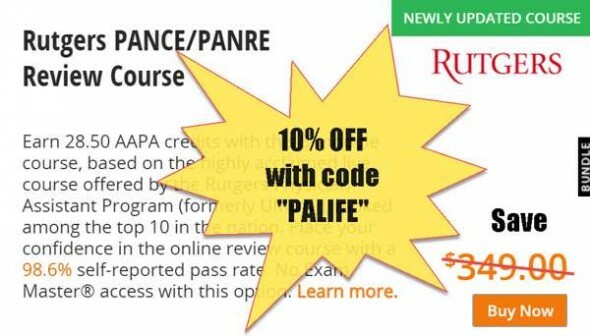 As mentioned above the PA profession offers an alternative to traditional nursing careers and the demanding schedules of physicians. 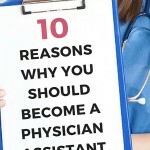 This is without a doubt the #1 reason men and women choose to pursue a career as a physician assistant. I know it's why I did. If I were a gambling man I would predict that the PA profession will follow the ratio of the famed economist Vilfredo Pareto and his 80/20 rule. And it will be at this 80/20 ratio where we will see the percent of females/male PAs in the workforce plateau and remain steady over time. If not, then hopefully it's not my other prediction, the one where women realize that there really isn't much need for men so they just get rid of us all together. 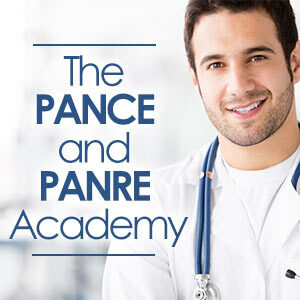 Previous Post: « How Many PANCE and PANRE Practice Exams Should You Take? My issue with this statement, as with any other position in medicine, is that we ALWAYS have a boss, ultimately our patient, and choosing a career based on whether or not we will be “bossed around” is a poor decision point. I am a PA, I have a boss, and when I don’t, I have my patient as boss, who is part of the decision making process. 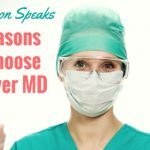 I have known plenty of great nurses, and likewise, they are a huge part of the decision making process, and I’ve never once “bossed around” a nurse. I agree Chris, my wife is a nurse and she has a ton of autonomy and is an integral part of the medical decision-making team. Our duties are indeed different. I do understand this respondent’s sentiment though. 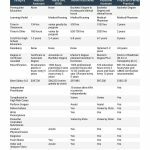 In the end as a provider, you will have a certain amount of say in the in the final treatment plan for your patients that as a nurse you will not have. But this depends on the task at hand, and as you mentioned we are, in reality, all part of a hierarchy. It’s just part of being an employee in any organization. The same holds true for doctors, PAs, NPs, and even CEO’s or medical directors.